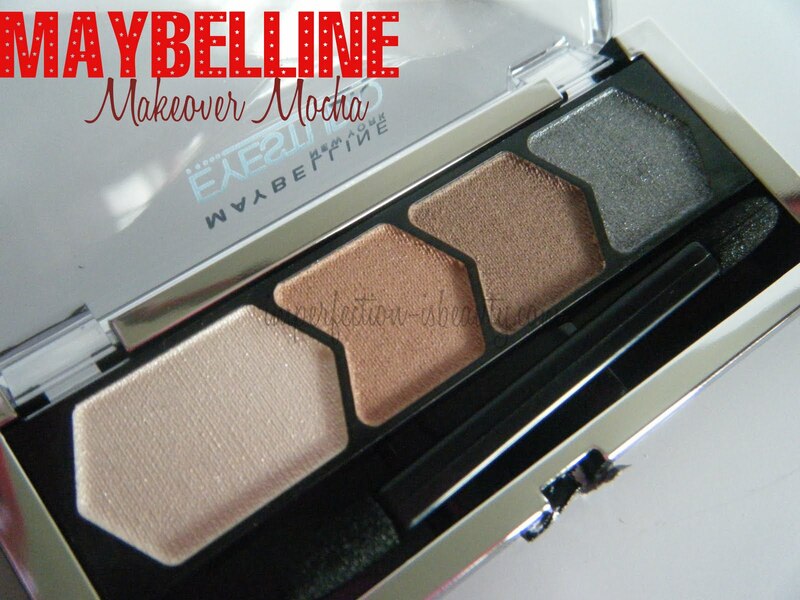 Product Description: SILK EYESHADOW Rich color, smooth feel, over 12 palettes to choose from. I'm not sure how many limited edition quads are coming out for their fall collection. All I know was I ran into Rite Aid because I had not been there in quite some time and seen some pretty good lipstick sales in the Sunday paper. Although they didn't really have any lipsticks that I wanted from Maybelline's popsicle lipstick collection I did get a purple lipstick from one of their newest collections they were putting out on display. As they were putting the new limited edition fall eye shadow quads I figured I might as well try them out. Their was only two that really stood out to me. I only picked one up because I did pick up a few other items that were very similar to the other quad I was eyeing. 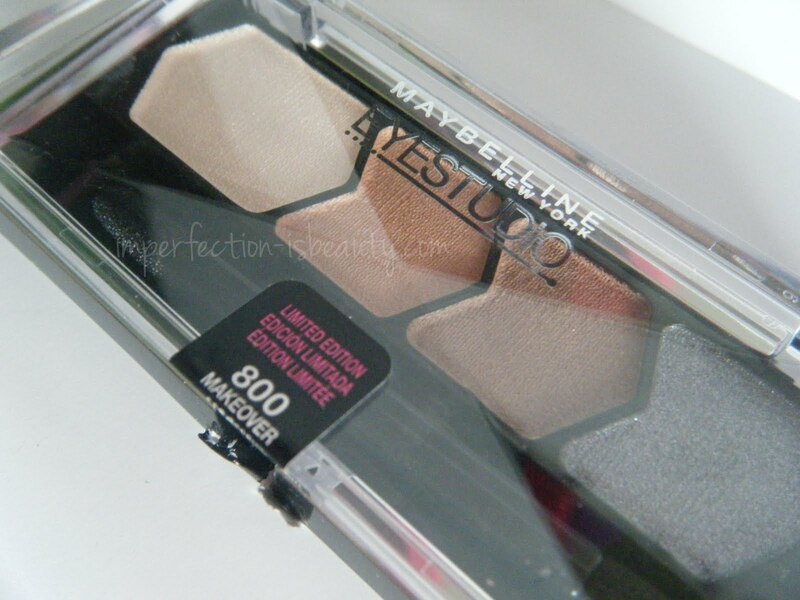 This Maybelline quad was very easy to work with. I love how silky each color was. Ever color blended pretty easily and went on so smoothly. You'll get more vivid results using the shadows wet and eye shadow primer will further intensify the shadows. 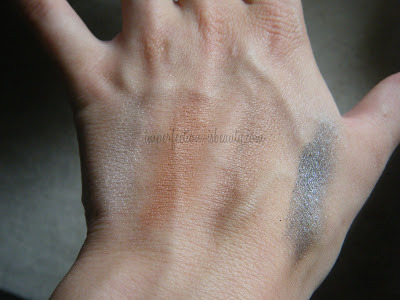 Here I used them dry, and without primer and they were still pretty pigmented. I could have added a little more product, I thought it looked nice until my camera didn't really pick it up. I did play around with the palette today using all four colors. I really like the way each color looks together. This is the perfect fall palette. I love that they threw in a pop of grey, considering that is why I purchased it because I hadn't used grey with browns before and figured it would be a different touch. Do you have any of these eye studio palettes? What do you think? This looks like a great palette. I saw this in the store the other day... now I'm tempted to pick it up! :) Great review. Is it just me but does every eyeshadow quad feel like it is 'limited edition,' because it colours seasonal? LOL! I actually have this quad and really love it! I am one of the few girls who actually loves green eyeshadow. I am going to check out your beauty channel tonight so I can see what tips and applications you've featured! I want to improve my make-up techniques for fall! Hope you'll stop by and perhaps we can follow each other? I really like the colour combination in this palette, very wearable shades indeed! I did not know about them before so thanks so much for sharing, sweetheart!